Our high budget google adwords campaign for Overhead Door LA Basin has yielded some of our best results to date. Since they hired us to build and manage a Google Adwords campaign (with a mandate to see immediate improvements) the regional garage door distributor has enjoyed a marked increase in the number of new customer online sales. Does your business operate in an extremely competitive marketplace, with you and your competitors all vying to catch the attention of new customers? This is exactly the situation that the Overhead Door LA Basin are in, with numerous distributors battling it out for first page Google positions in what is an extremely competitive market for PPC (Pay Per Click) campaigns. Is your business losing out on prime google search engine placement to your competitors? This was also happening to the Overhead Door LA Basin company, and it was hurting their sales growth, just like it must be hurting yours. Many businesses experience this same situation, and are always surprised to hear that it doesn’t take much to turn a failing PPC campaign into a successful one that can generate new sales. What can you and your business do to increase sales online? Just like the Overhead Door LA Basin company you will need an Adwords campaign with a seamless set up process, and day to day management by specialists who understand how to get the best results from your specific online marketplace with Google Adwords. What exactly qualifies as a successful Google Adwords PPC campaign? We have broken it down into two main results that every business (including yours) needs from their campaign to call it a success . - 10 - 20 high quality conversions (qualified leads). On top of achieving these high conversion rates and the huge increase in daily website visitors for the Overhead Door LA Basin company, our Adwords campaign is generating a steady stream of calls from potential and future customers who are also requesting quotes and technicians to do repairs. SEO audit of the Overhead site to ensure all pages are properly keyword optimized and conversion ready. Expert use of Google Keyword Planner to perform keyword traffic analysis for target search phrases. Set up of new campaigns with multiple Ad Groups for respective zones, each with call tracking . Setting of bidding strategies, mobile/desktop adjustments, demographic targeting, location tracking. Carefully adjusted phrase matches vs exact matches vs broad matches for target keywords. Live PPC monitoring service with regular adjustments to the campaigns. Conversion and call tracking tags implemented to ensure accurate tracking of results. Issued detailed week on week vs month on month analytics report every two weeks. The success of this adword campaign was particularly driven by using the metric data available from the Google Adwords panel, which is the main source of usable data for all successful Adword campaigns. By using the Google Adwords control panel, our PPC (Pay Per Click) specialists were able to monitor impressions and CTR (Click through rate) conversions from all of the separate parts of the campaign. These click through rates were monitored, especially around specific geographic zones and products. This specific management allowed for continued tweaking of the keywords until we attained the optimal results demanded. When launching this Adwords campaign, our PPC specialists set up specific phone numbers for different zones within the campaign’s strict geographic perimeters (as set forth by rigid franchisee boundary rules). By using a mixture of Google and Callfire generated numbers we are able to track exactly how many calls come in per zone, along with the frequency and result of each of those calls - With this specific knowledge we could then see which zones were responding better, and so begin to tweak the entire Adwords campaign around this information. The tweaking usually entailed raising or lowering budgets from different zones to focus more on the more successful ones. This makes sure that every dollar spent is going to be spent on results that matter. Such specifically targeted Adwords spending is paramount to gaining better CTRs and increased sales. We also used the information gleaned from these hard metrics to improve other parts of the overall sales and marketing campaign for our clients - By constructing specific marketing and email blasts around this information we were able to operate tremendously successful email marketing campaign’s and grow new customer conversions from yet another angle. The Pay per click specialists at Shopodex also split Adwords into specifically targeted campaigns centered around individual services and products being sold on the Overhead garage door website. For example garage door sales, garage door repairs, door opener systems, etc. All of these were split into specific Adwords categories that could be tracked and adjusted specifically in the same manner as the geographical zones were. By monitoring each Adwords category like this PPC specialists were able to lower the emphasis (and spend budget) around garage door repairs and focus more on door sales, which was the area the company wanted to specifically improve. When you visit a website through an Adwords click, Google will log this and can continue to issue the same advert when you visit another website. This can result in wasting resources on someone who you have already reached. As mentioned earlier, Los Angeles is a premium market for garage doors and there is tough competition within the keyword selection of a Google Adwords PPC campaign with neighboring distributors always trying to out rank you on Google’s search engine 24/7. With top of first page vs. target first page constantly being challenged by competitors - Our specialists are always monitoring your budget to see if it warrants one or the other, because the costs for Adwords at the top of the page extremely different to those further down. 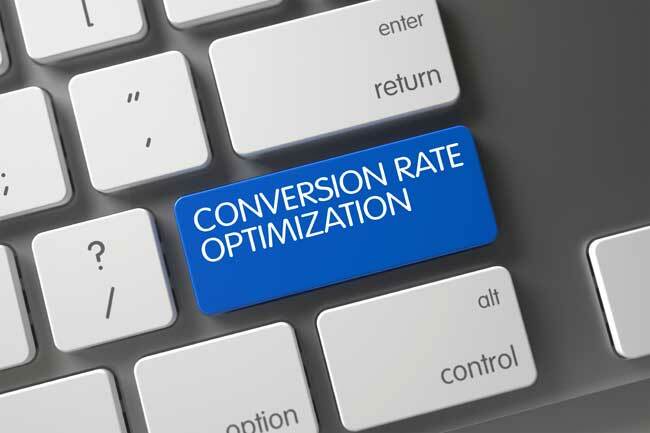 This tough competition has seen a surge in costs for impressions that lead to a conversion and click through, with an individual lead in a LA garage door based Adwords campaign currently costing around $8-10 each. With this in mind our Adwords management teams periodically redo and replace entire Adwords campaigns from scratch. This remarketing service can allow Adwords to reach a larger and brand new audience whilst not burning through your Adwords budget. We service all businesses. No matter what product or service you are selling, our Shopodex PPC specialists can improve your website traffic, search engine ranking and most importantly increase your sales! Don’t forget that with our Bi-weekly reports showing analytics and basic numbers in a simple to read report, tracking and maintaining overall control of your new Adwords campaigns is easy, no matter the size of your budget.